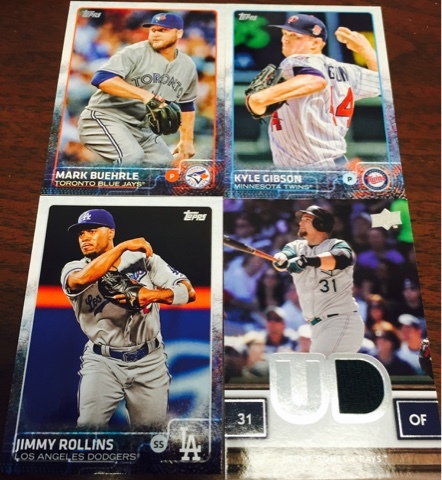 Indians Baseball Cards: #PackADailyCircus - 113 - Mojo Rays Do Not Burn! Wahoo!! What a sweet jersey card for Thoughts and Sox! I actually like the way UD did their jersey cards: big player photo, little jersey. It's hard to believe Jimmy Rollins is still kickin it, too. I feel like he's been around forever, even though it's only (haha, "only") been about 15 years. Congrats to everyone pulling managers today. I only picked him in case a Red Sox cars of goon got pulled. Never considered a jersey card.